I'm swooning over the simple elegance of this week's Wedding Cake Wednesday. 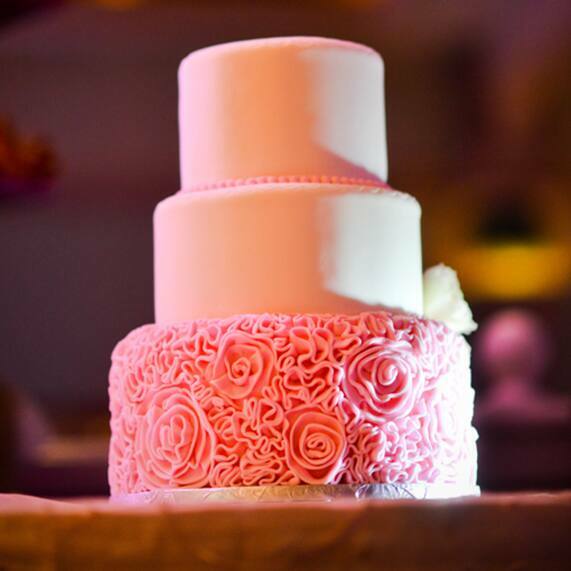 The three-tier stunner is adorned with a single string of pearls and pink roses made entirely of frosting- proving that the only thing better than a rose is an edible rose! All in all, this pink delight looks (almost) too good to eat.